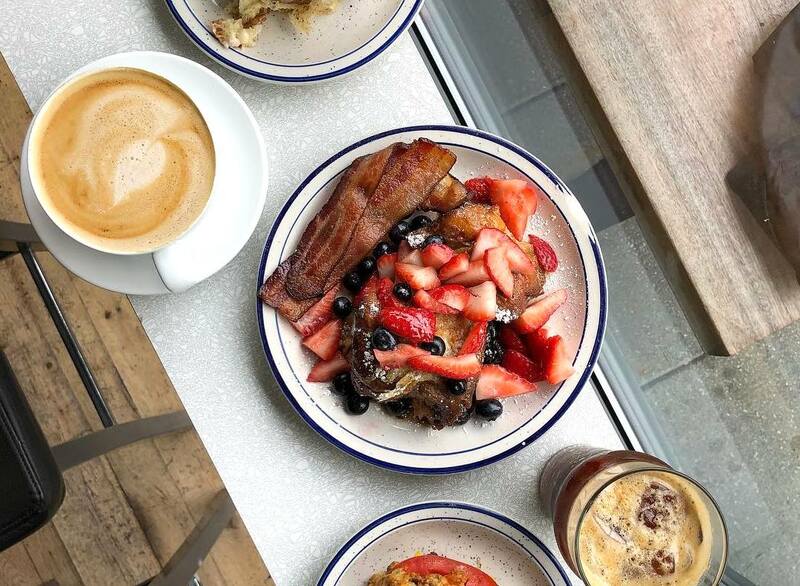 DC is often dubbed a “career-driven” city, so it shouldn’t come as a surprise that The District is home to loads of coffee shops ready and waiting to refuel the city’s hard workers and early-bird exercisers. We’re not talking about Starbucks, though. We’re talking about unique cafes, each with their own vibe. 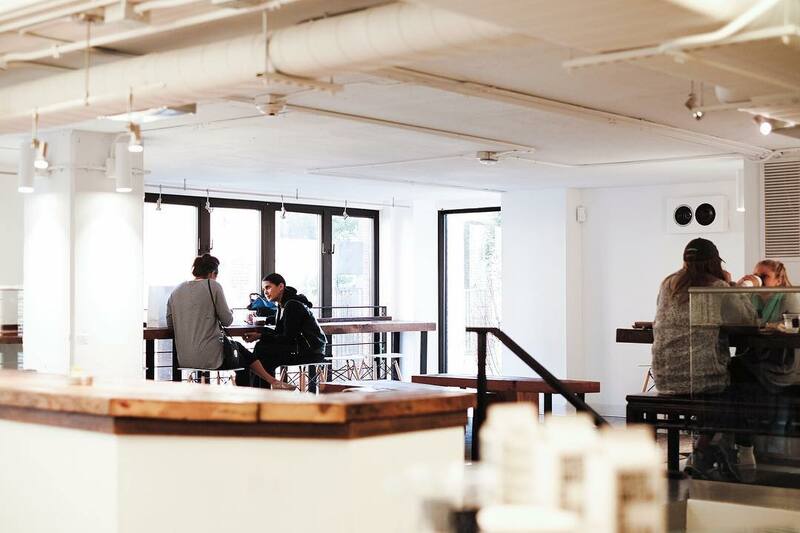 But in case you’re feeling a bit overwhelmed by all the options (we get it), we’ve rounded up a list of the best places to hit up, so you can find the perfect café piece to complete your coffee puzzle. 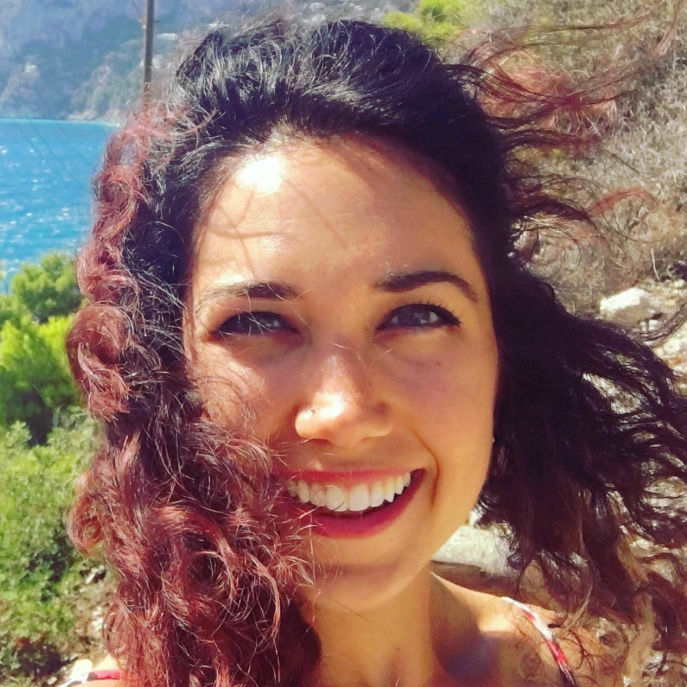 Compass in Shaw (and pretty much everywhere now) has got a pretty cool story — two Marines discovered their love for coffee as they depended on it for energy during training. That developed into a passion as they learned more and more about the art of coffee. So, naturally, they went on to start Compass Coffee and they’ve been breaking into the DC scene ever since with their one-of-a-kind beans. Love that European vibe, but find yourself stuck in the middle of Penn Quarter and Chinatown? No problem. 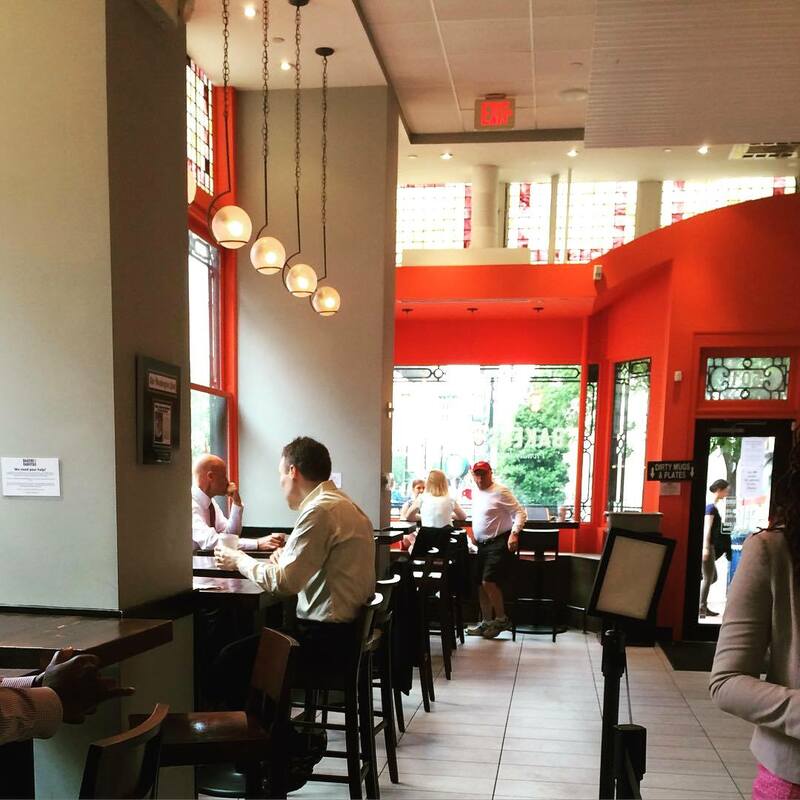 Head over to Bakers & Baristas where the staff, pastries, and coffee are as vibrant as their beautiful orange walls! They’re serving Vigilante coffee and making the best darn mocha you’ve ever tasted (courtesy of their house-made chocolate). Oh, and with the same kitchen as Red Velvet Cupcakery next door, you’ll probably walk out with more than just a coffee. You’ll never guess where the first Bourbon Coffee opened… Kigali, Rwanda in 2007. We love what they’re doing over at this cafe — it doesn’t get better than “crop to cup”, direct trade beans. Something you probably didn’t know: in Rwanda, coffee represents 75% of the country’s export revenue, and this company represents the first retail brand of coffee to originate from Africa. 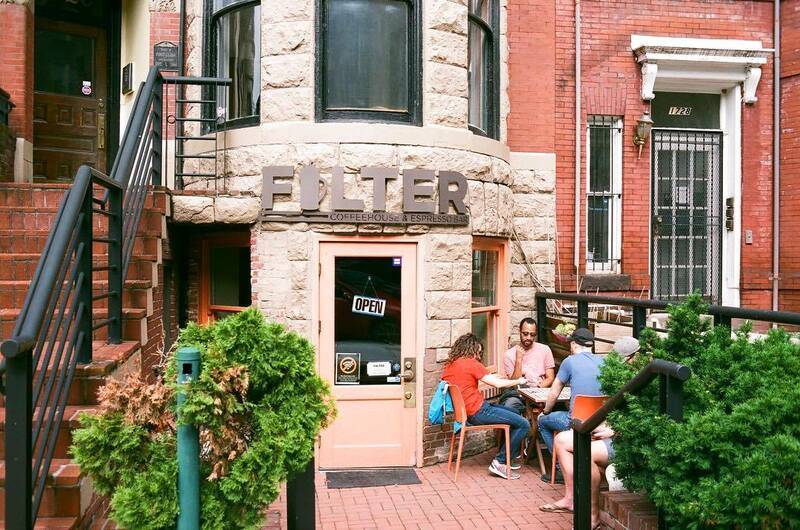 You’ve got three options to check them out in Foggy Bottom, Capitol Hill, or Tenleytown. When you need to conquer the day and you’re searching for that caffeine jolt, score some amazing nitro coffee at one of Dolcezza’s many locations throughout the city. They craft every espresso using Sey Coffee Roasters… it’s the perfect balance of sweet and savory. And if you’re sweet tooth is really giving you a run for your money, you’re in luck — this coffee shop doubles as a gelato shop. Really, is there any better combo than coffee and gelato? The answer is no. Even your non-coffee-loving friends (is that a thing?) can find something to love about Big Bear Cafe. Servin’ it hot in the heart of Bloomingdale, this coffee shop-slash-bar-slash-cafe offers your favorite coffee and espresso drinks, including a daily latte and tea special. Still not convinced? The Bloomingdale farmers market is set up directly outside the shop during the summer months, plus it’s one of the few places you can order mimosas on a weekday. Once you experience the little sister of some of DC’s finest (Rose’s Luxury and Pineapple & Pearl), you’ll want The Little Pearl to be your breakfast, lunch, dinner, and dessert. From homemade nut milks to homemade ricotta to homemade jam (did we mention it’s homemade? ), good luck not ordering the entire menu. With vegetarian options and the transition into a wine bar at night, The Little Pearl really does have it all. Calling all chai-lovers! This place will speak to your soul with their homemade chai creations. 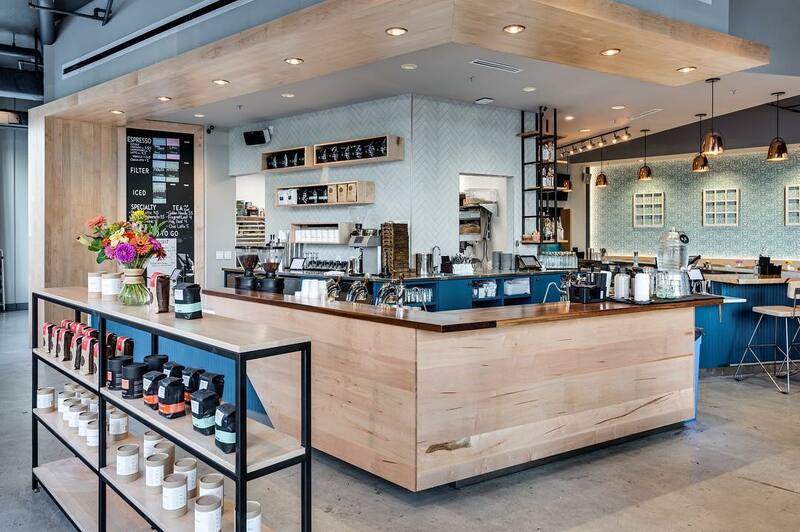 Pop into one of their two locations in DuPont or Foggy Bottom and enjoy Ceremony coffee from Annapolis. First, pick your method: brewed, pour over, or french press. Next, tip to your mouth. Last, smile big. You’re a bit fried from shopping in Georgetown on M Street and you’re ready to refuel for round two. Head just south of the canal on Thomas Jefferson St. to Baked & Wired to get, oh yes… baked and wired. Their well-known pastries (and signature Hippie Crack granola) are baked in small batches, to ensure the taste is just right. In keeping with their eclectic vibe, B&W also sources coffee from roasters like Mountain Air, Intelligentsia, Cafe Integral, Barismo, and Elixr. Don’t forget to check out their napkin-covered walls with freely-written notes of passersby. Support DC’s makers and creatives, and sip local coffee while you shop, work, or eat! Shop Made In DC is a retail space just off of DuPont Circle that’s on a mission to support local artists and entrepreneurs in the DC creative space. They do this by providing low-entry to market opportunities for DC-based makers to showcase their work. Lucky for you, that includes coffee, too! The Shop consistently features Lost Sock coffee as their House blend, but in true #supportlocal fashion, there’s always a rotating local blend featured. 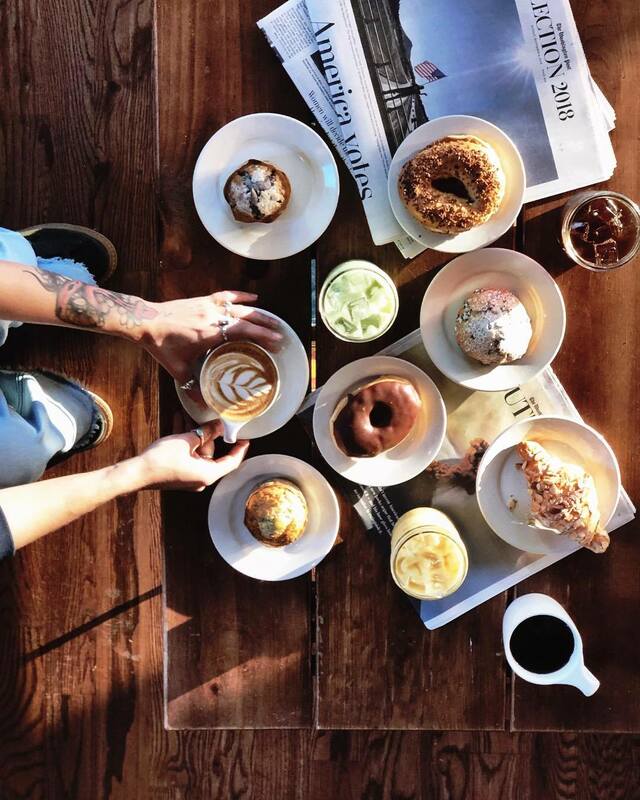 Meet up with a friend and get your caffeine fix. But if coffee isn’t your thing, there’s also local tea, beer, wine, kombucha on tap, and more available — it’s basically beverage heaven. You want a latte, your friend wants a beer, and your other friend wants a stiff one on the rocks. Tryst in Adams Morgan will be the key to pleasing every palate. 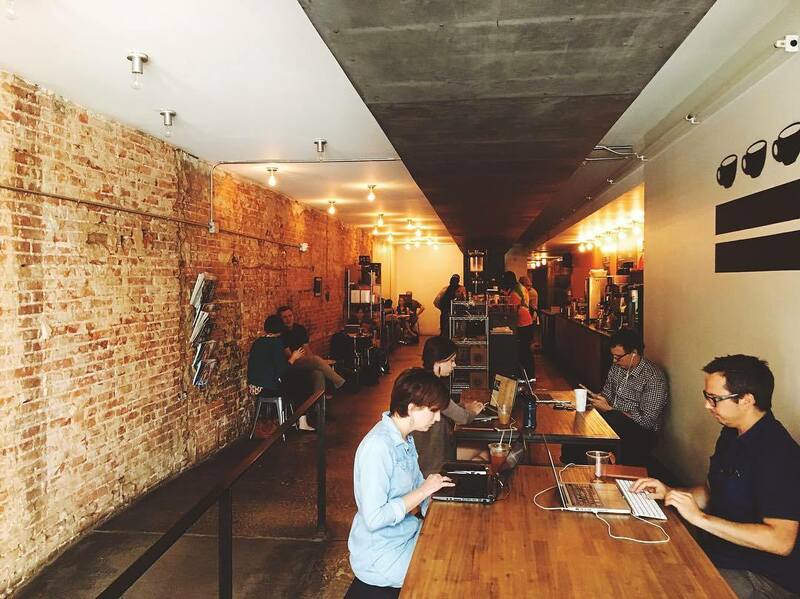 All about that community vibe, this place dubs themselves a “Coffeehouse – Bar – Lounge”. Boom, baby. Fridays and Saturdays they’re open until 2am and boast an impressive late-night menu, with their barista still serving it up hot way past midnight. 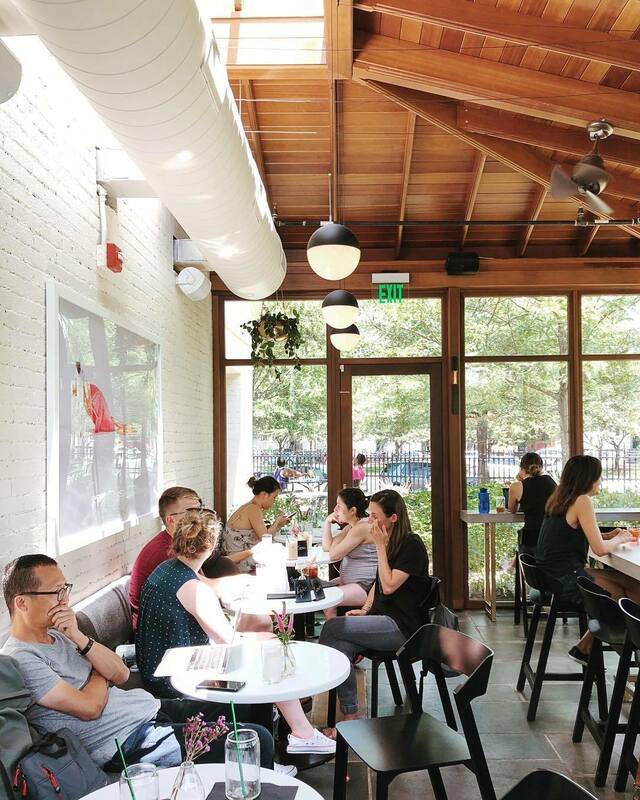 A beloved jewel on sunny weekends, Peregrine Espresso comes in as one of the best coffee shops in The District. 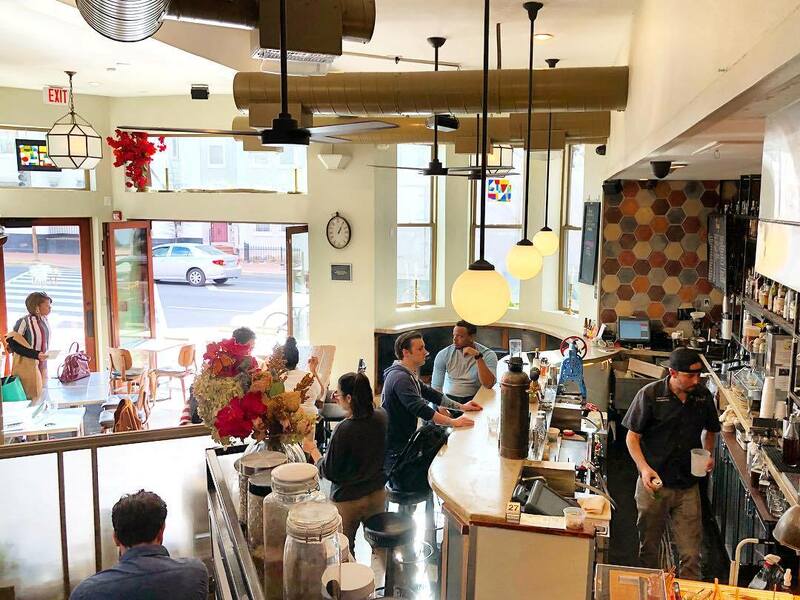 This hot spot has become a leader of the DC coffee scene, setting the standard for espresso — they were one of the first locations to introduce a barista training program. 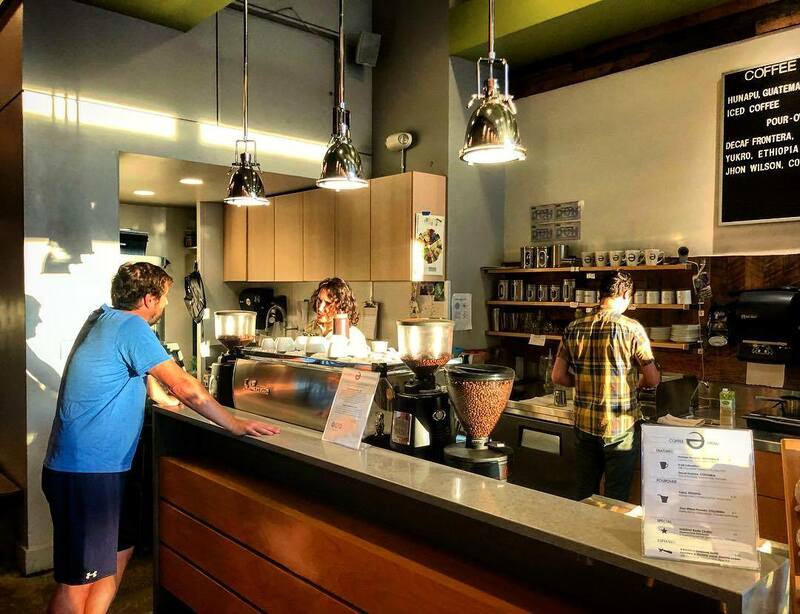 Peregrine Espresso is the perfect place to grab a coffee, latte, tea — you name it! You can find them in Eastern Market, MidCity, and Union Market. 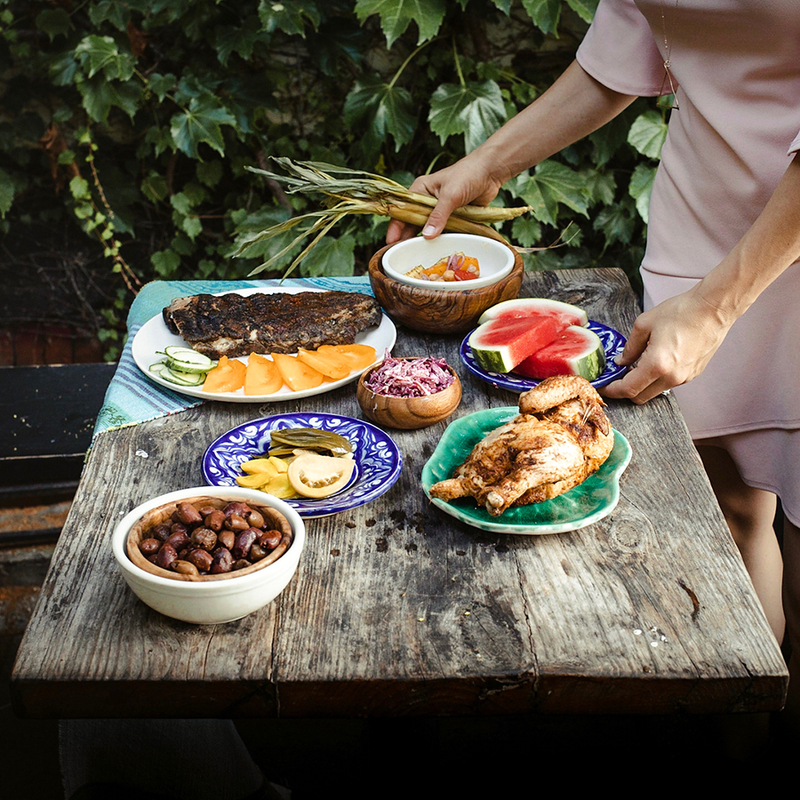 From two pop-up shops to two permanent brick-and-mortar locations, The Wydown has clearly earned their keep. 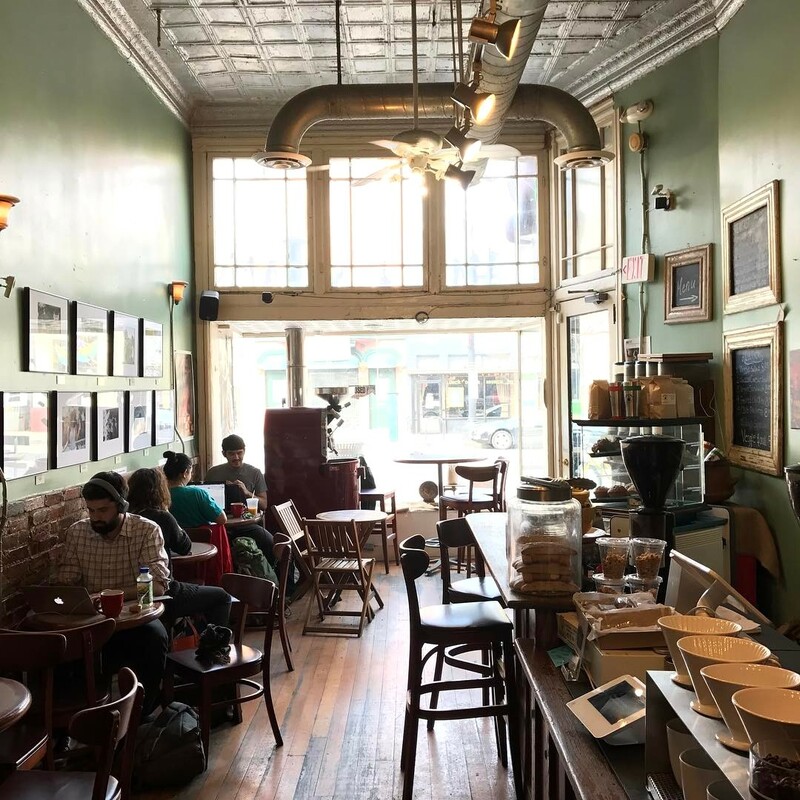 The coffee shop and bakery will have your hipster heart feeling right at home with their pour overs, coffee art, and homemade baked goods (yes, gluten-free options, too!). Ingredients are sourced organically and locally when possible, and include dairy products from Trickling Springs. Oh, and move over classic buttermilk biscuits — The Wydown’s baking program is way more original, with one of the crowd’s favorites being the blackberry lavender scone. A sister of Baked & Wired, A Baked Joint has a similar quirky vibe with coffee that’s just as good. 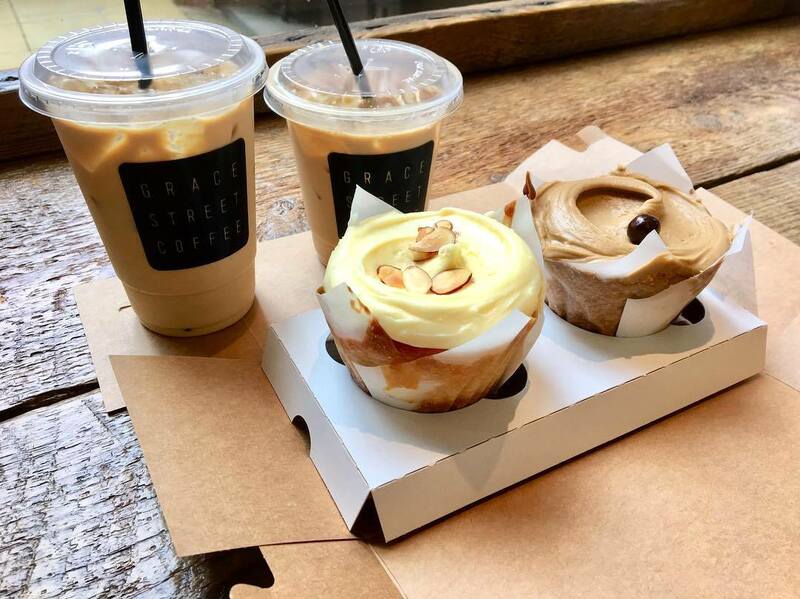 With a different specialty than its Georgetown counterpart, ABJ on K St. bakes all of their bread in-house and has a vast, open kitchen setup. You can also get tea on tap. They’re just too cool — the super-high ceilings and warehouse vibe will have you searching for your lensless glasses and Converses. 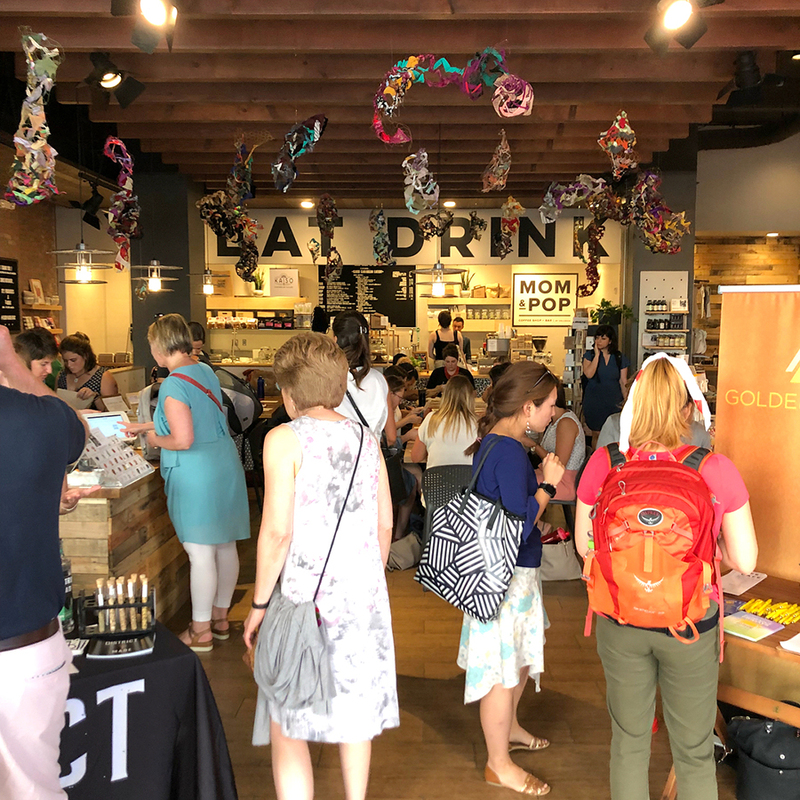 Slipstream on 14th NW and the Navy Yard is engaging and interactive, helping their customers navigate their own palate. So, they created a comfortable atmosphere where coffee- (and cocktail! )lovers can come and learn in a stress-free, comfortable environment. FYI: they’re also serving up locally-sourced meats, cheeses, and the like for breakfast, lunch, and dinner. Good food, good drink, good times. We love The Coffee Bar’s approach to being a multi-roasting shop. If you’re a regular (and if you’re not, you will be soon! ), you’ll especially appreciate their rotating single-origin espresso at their Shaw and downtown shops. Or perhaps you’ll fall in love with TCB’s house blend. Being self-proclaimed coffee geeks, they also have superb options stacked on their single-origin pour-over menu. Our bet is you’ll also love the cozy atmosphere and friendly baristas. 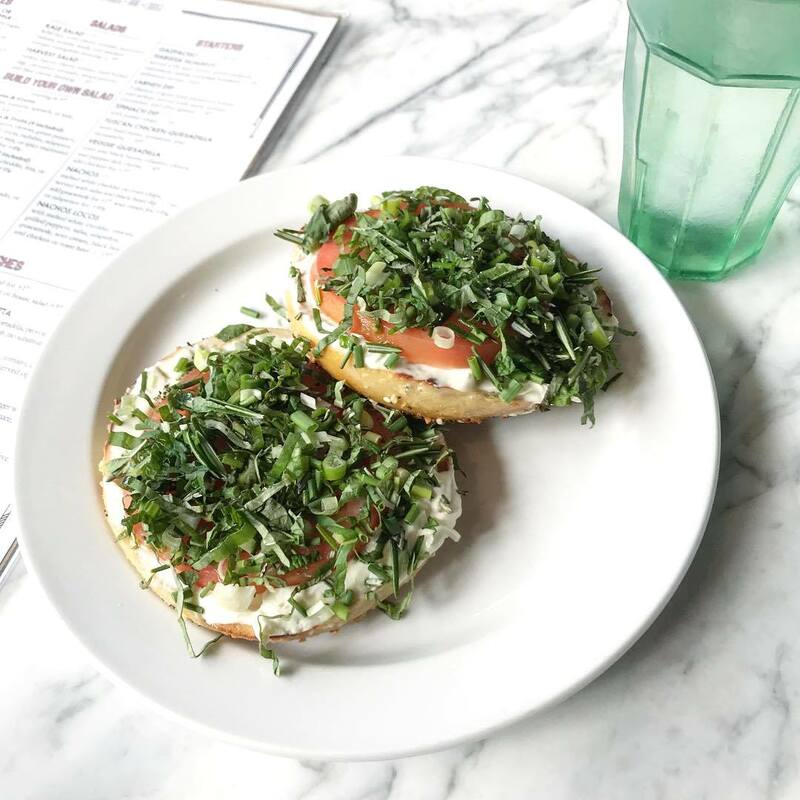 Lox, house preserves, yogurt with toasted coconut and mint, and, of course, coffee — get it all and then some at The Royal on Florida Ave. NW. Hang out with a fresh cup of Counter Culture and why not stay for lunch, too? 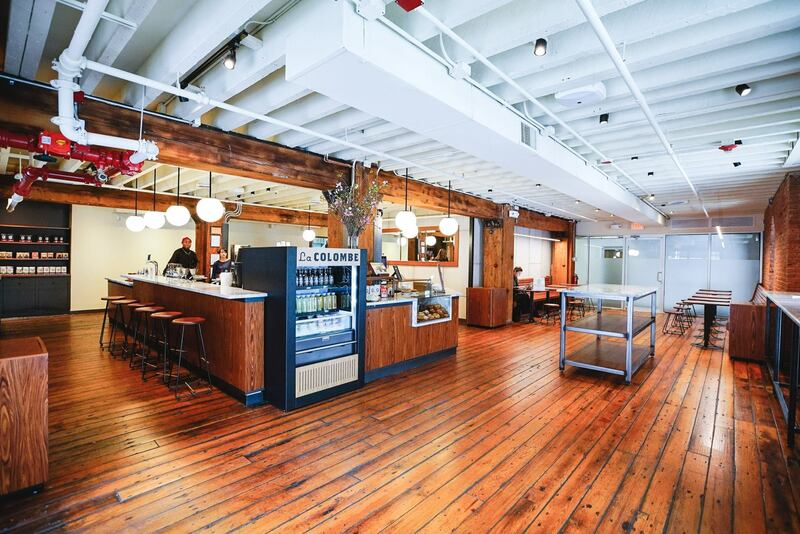 If you’re setting up shop and taking advantage of their free Wi-Fi, don’t worry if your work dips into the afternoon hours — just close the computer by 5pm and use the excuse to try their house-made vermouth on tap once their coffee shop turns cocktail bar. La Colombe Coffee Roasters has got it goin’ on. And by “it”, we mean everything. Pop into one of their three DC locations in Farragut, Uline, Manhattan Laundry, Blagden, and Chinatown, and you’ll totally understand what we mean. One thing they’ve got particularly nailed down is cold brew. We’re a huge fan of their chilled canned brew, so you can grab it and look like a boss with the sleek white can in tow. Better yet, stock up for the week. 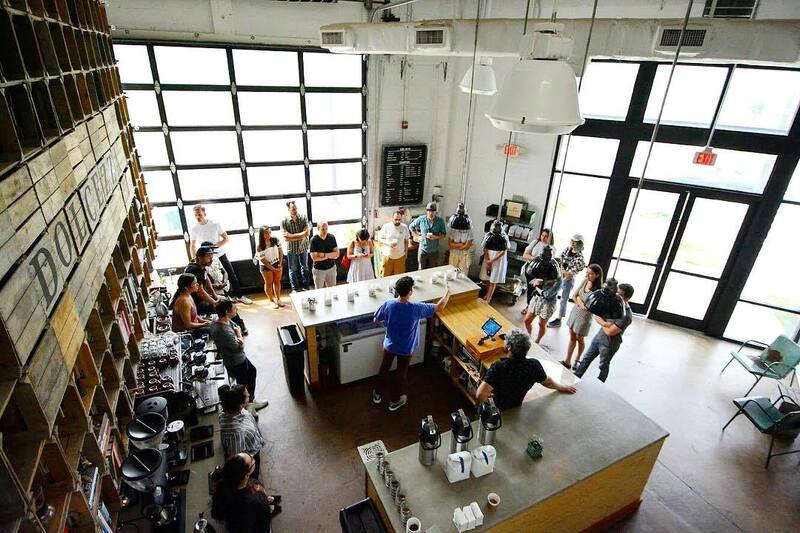 Zeke’s started out in Baltimore, and after much success, opened their Downtown DC roastery in 2013. They take “small batch” seriously by roasting in a 12-pound roaster at their DC location — more love and labor into each bean. Even more reason to love ’em? Most of their current beans are organically grown. 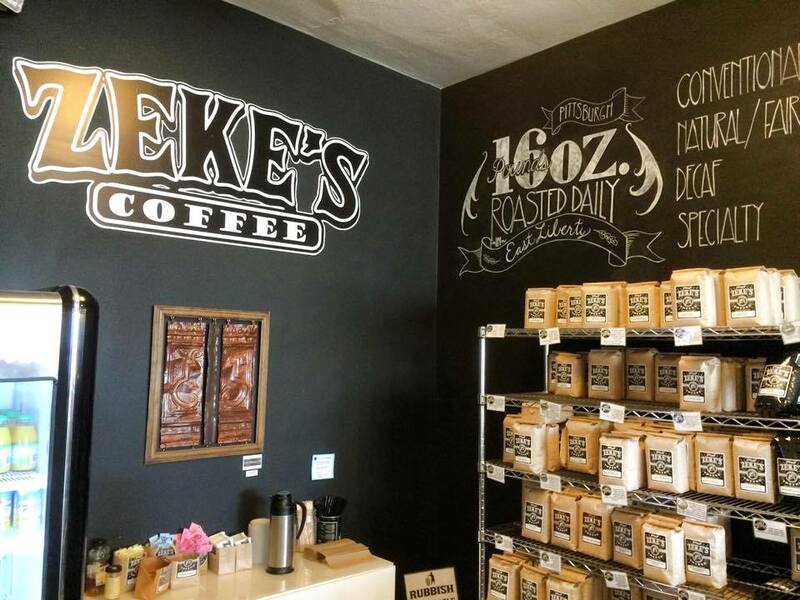 If you can’t make it to the roastery, catch Zeke’s at one of the farmers markets in the area. 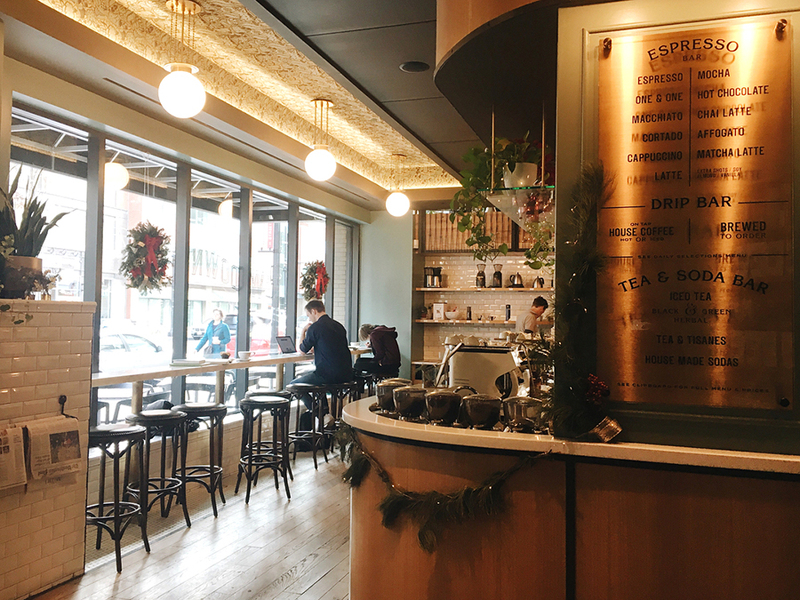 Chinatown Coffee Co. in—you guessed it—Chinatown is brewing up single-origin beans, and has a pretty impressive beer, wine, and absinthe offering in case you’re in the mood for more than just caffeine. This place has coffee brewing down to a science, and you can watch with wonder as they master various brewing techniques like Chemex and siphon. 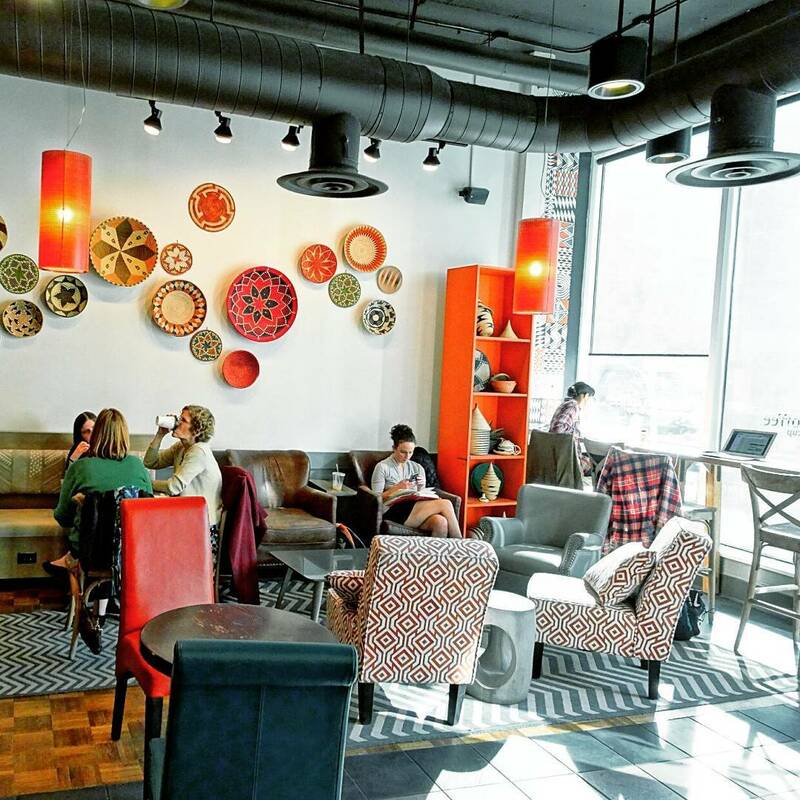 There’s something really special going on at Sidamo on H St. We are absolutely in love with their traditional Ethiopian Coffee ceremony. Bring some friends over on a Sunday afternoon at 2pm and experience the oldest coffee tradition in the world at this cozy coffee and tea shop. 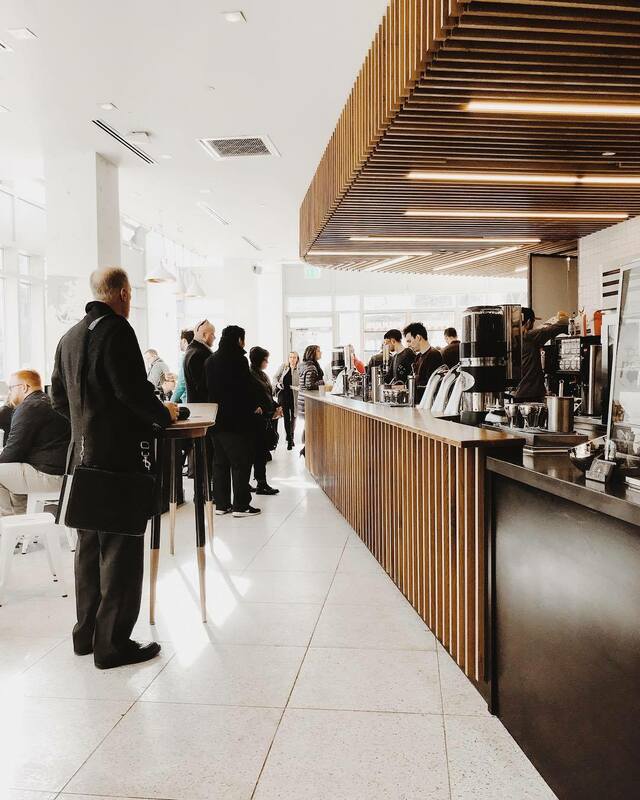 Simple, special, modern, community, and caffeine — you’ll find it all at Grace Street Coffee. 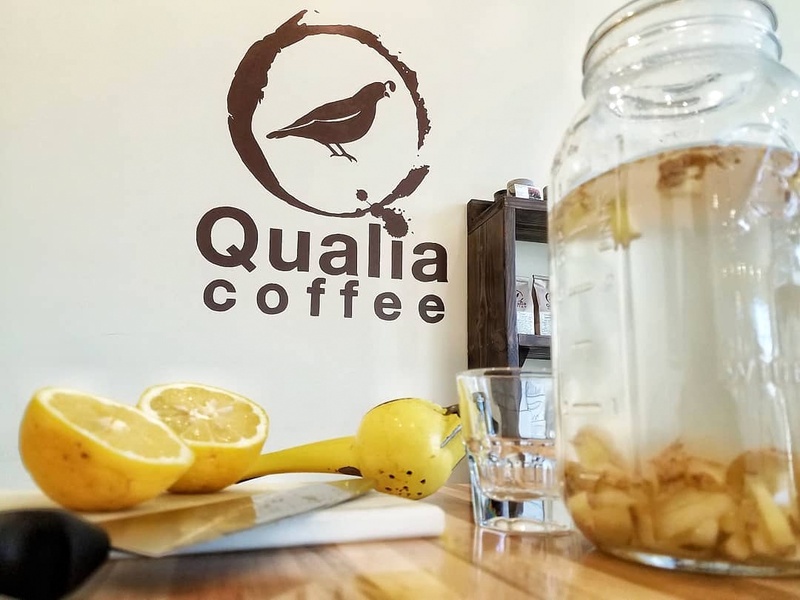 This shop celebrates the uniqueness of the magical coffee bean, so they focus on small batch, single-origin, responsibly-sourced coffee to bring you high-quality flavor with each sip. And since they do all of their roasting on-site, you can actually watch the process taking place before your eyes. Add their classic burlap coffee bags, cool Chemex setups, and other coffee gadgets, and you’re in for a trendy, laid-back experience from the second you open the door. Want some Southern hospitality but don’t want to put in the miles to get it? 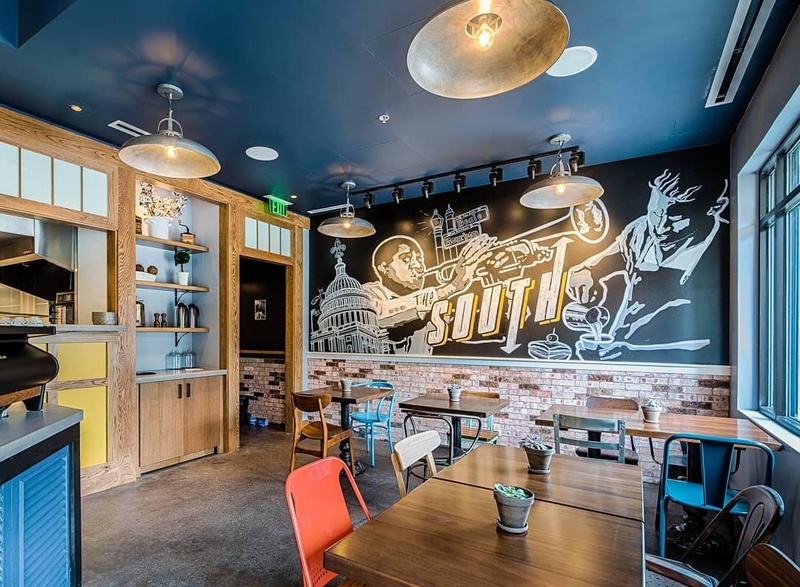 Just head on up to Logan Circle and experience some New Orleans flair with a dash of Alabama, Georgia, and Mississippi on the side. 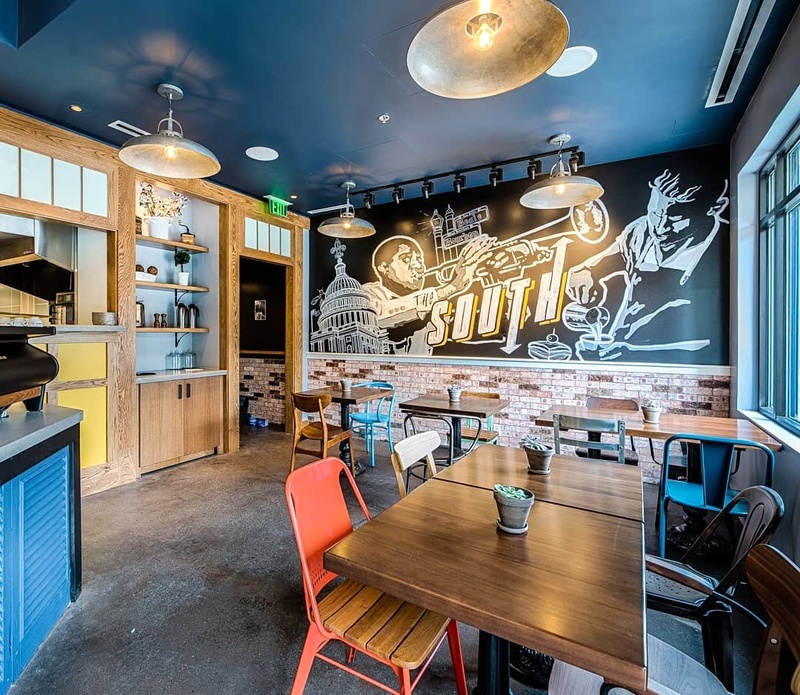 Lil’B Coffee & Eatery is celebrity chef David Guas’s newest DC venture, and they’re the perfect place if you’re looking to spice up your morning buzz. Serving up Counter Culture coffee all day, go beyond your normal cup of joe and opt for The Cortadito or a Cafe con Leche, both a tribute to chef’s Cuban heritage.